The Utah Jazz are 39-29, currently back at the 6th seed. They're 3 games out of 3rd, with a chance to gain ground in the race for home court, as well as separation for the teams trailing them. We look at remaining schedules and how it could all shake down. We look at ESPN, Basketball Reference and 538 projections for their finish. 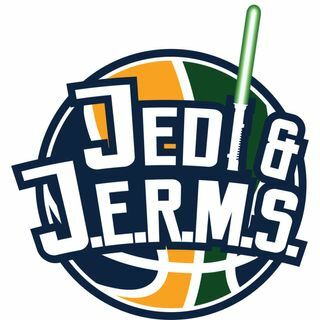 This week was not a good week for Utah, and Jazz fans. We discuss our thoughts on racism and educating ourselves in the wake of the events surrounding Russell ... See More Westbrook and a Jazz fan. The Lakers are falling. Which East Playoff match ups intrigue us the most? Devin talks March Madness and NFL signings. The latest Avengers End Game trailer reaction tops the Pop Culture conversation. Please leave a review on iTunes and share us with your friends!